Tech U is an internal group at Zappos.com dedicated to helping people in tech learn new systems, skills and general information. “We work to both bring people into the Tech and to also help those already here to succeed,” said Tech U group member and Zappos employee Latisha Looker. Throughout the year, Tech U organizes “Lunch and Learns” for not only Zappos tech departments to learn new things, but for the entire Vegas Tech community. “Lunch and Learns are the Zappos version of a Brown Bag Seminar and we’ve been doing them since 2010,” Latisha Looker explains. Originally, the team just wanted to give people passionate about technologies a platform to share their knowledge in front of their peers. It wasn’t until last year that the team made them public. There have been amazing Lunch and Learns, but Latisha Looker says by far her favorite was the IBM Watson Lunch and Learn. The Tech U team says anyone and everyone is invited to come to the Lunch and Learn events. About Zappos: Established in 1999, Zappos.com, operated by Zappos Development, has quickly become the leading destination in online apparel and footwear sales by striving to provide shoppers with the best possible service and selection. The Zappos Family generates gross merchandise sales exceeding $1 billion annually. Zappos.com currently showcases millions of products from over 1000 shoes, clothing, handbags, accessories, and housewares brands. Zappos.com, Inc. was recognized in 2009, 2010, 2011 and 2012 by FORTUNE MAGAZINE as one of the “100 BEST COMPANIES TO WORK FOR”. Zappos.com is also proud to be rated ELITE by STELLAService and was named a J.D. Power 2011 Customer Service Champion, one of only 40 companies so named in the U.S. More information about the customer service philosophy, unique culture, and job openings can be found here. 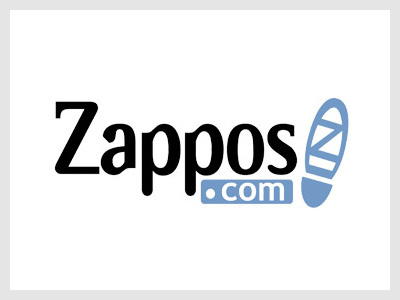 More information about Zappos Insights, and its business membership program can be found here. Zappos.com is a subsidiary of (AMZN) Amazon.com. We’re interested in attending these lunch and learn events, however the link for ticketcake.com no longer works. Could you advise how we can get involved or indeed attend these events in the future?